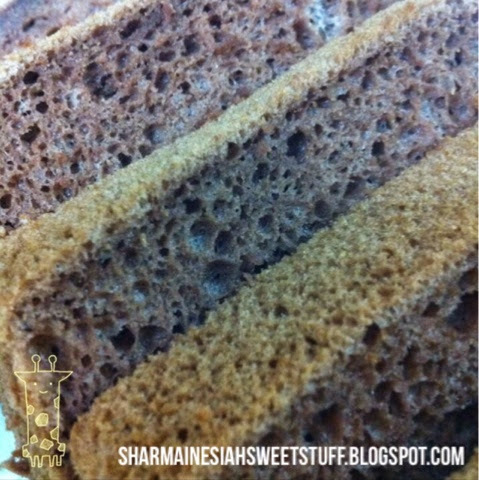 This my favorite recipe of a fluffy, spongy and delicious chiffon cake with mild taste of cocoa powder that is just enough to satisfy a chocoholic aka me. 1. Preheat oven to 165∘C. 3. In a bowl, combine the first five ingredients in (A). 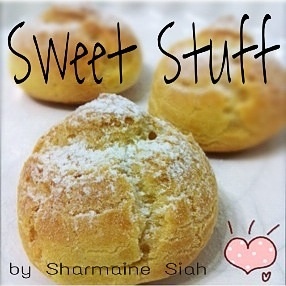 Sift in the remaining ingredients and mix well. 5. Combine batter (A) and batter (B) in 2-3 batches just until no white patches visible. DO NOT over mix it. 6. Pour the batter into a cake tin and bake for about 30 minutes or until a wooden skewer inserted the middle comes out clean. 7. Once its finished baking, invert the cake tin and let the cake cool completely.